Take the field with your own OYO sports College football mini figure! 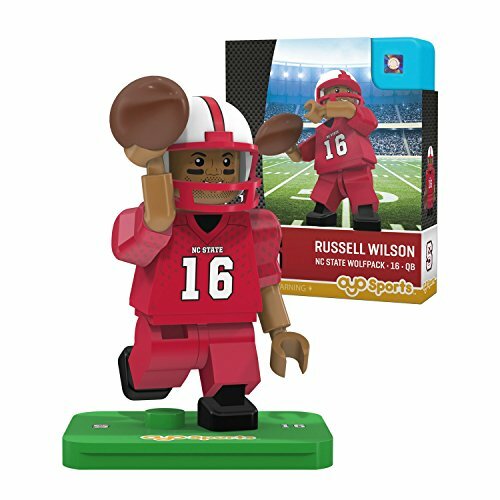 bendable knees and elbows mean that your mini figure is ready to catch a pass or throw the game-winning touchdown. With details and accessories like authentic school uniform, football, helmet, removable face mask, new headphones and more. Get ready to bring the Superstars from your favorite College home to you. The perfect gift for the biggest (and littlest!) sports fan in your life. Accessories: authentic team uniform, football, helmet, removable face mask and headphones. Poseable stand with a unique DNA code for your one-of-a-kind mini figure. Compatible with most building block toys. Ages 6 and up. Printed and assembled in the U.S.A.
View More In Toy Figures. If you have any questions about this product by OYO, contact us by completing and submitting the form below. If you are looking for a specif part number, please include it with your message.